Termite Control & Wood Borer Termites cause damage to all kind of woodwork, furniture, furnishings, clothing, stationary, rubber, plastic and even the lead coating of underground cables. 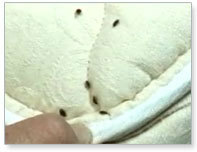 Termites are medium sized soft bodied, Social insects living in large colonies. they travel through a network of galleries up of mud avoid light. Termites damage valuable human belongings, like wood. Building material , stored grains, transmission poles, trees, paper book, railway sleepers, ships etc. Pawan Pest control Services is a property management service company, providing proficient housekeeping for healthy living. We embellish the value of business of our clients by providing a clean, comfortable, attractive & safe environment that benchmarks the property up keep standards in corporate business houses, Industrial sectors & residential areas in the country. Our hands on experience from last16 years commitment to superior service & genuine concern for the well being of customersis instrumental in making us sucessfulin our profession. To enhance the value of business & contirute in the corporate image building of our clients. We nourish floors, walls, ceilings furniture, soft furnishing & art effects with appropriate bio degradable environment products.Our specialization in the field of marble crystallization, granite treatment & wooden floor maintenance with the help of global resources is our unique feature. The floor care machines & cleaning products for various surfaces commensurate to the best in the world & and adhere to environment practices. The guiding principle of our success is detailed on the job & classroom training of our employees in accordance withthe latest housekeeping standards.A regular quality assurance audit of operation develops the human resources for our company for their sucessful endeavor. People working for Pawan Pest control Services are well trained professionals in neat attire encouraged to take responsibility & make decisions in favour of customers. Superior service culture & premium assistance is the overriding aim of everybody working for Pawan Pest control Services. Woodens Borer Treatment Wood Borers (Anobium Punctatum) which are known as common furniture beetles and they are viewed seriously considering their ability to play havoc with the wooden articles, notably the sap wood of soft wood variety, structural timbers, joinery, furniture’s etc and even volumes of books. This is the most dangerous wood eating insect prevailing in the buildings in our country. The adult is a flying insect, dark brown in colour. The female lays eggs in the crevices and rough surfaces of timber, the larva of which enters into the wood boring through the bottom of the egg and lives there for 3 to 5 years, creating a network of intricate internal tunnels throughout the timber in which the gritty boredust, faecal pallets and wood fragments remain. Bore dust beneath/around the exit holes is evidence of an active infestation. Infestation occurs by migration of adults to settle down in new areas and also through introduction of infested wood. Control Measures :- Preventive:- Application of two coats of suitable oil based insectiside on all the sides of wooden items before cutting and polishing. Curative:- Injecting a suitable insecticidal formulation at the prescribed concentration into the shot holes created by the pest on the infested wooden articles, followed by a thorough spray to the entire articles. Treatment:- 3 Monthly Services. COMMERCIAL PEST CONTROL Progressive Pest Program The Foundation Of Our Commercial Program, This Nine Stop Monthly Non-Food Handling Service Incorporates An I. P. M. Approach To Dead With Most Crawling Insects, Like Ants, Spiders And Crickets. Restaurant Program This Monthly Twelve Step Program For The Food Handling Environment Incorporates An Integrated Pest Management (I.P.M.) Approach And Focuses On The Control of Crawling Insects, Especially The German Cockroach. Fly Control This Eleven Step Monthly Program Is Designed To Control House And Drain Flies From The Larval Through Aduit Stages. Stored Product Pest Program Working Hand-In-Hand, The Customers & Technical Impose A Sanitation And Monthly Three Step Correction/Prevention Program To Control This Pest And Reduce Product Loss Due To Infestation. Rodent Control Exclusion Is At The Heart Of Any Rodent Control Program, Followed By Trapping Those Who Have Already Penetrated The Structure, Our Premier Program Also Eradicates The Feasting Insects Associated With Rodents And Sanitizes Surfaces Affected By Rodent Urination & Defection.